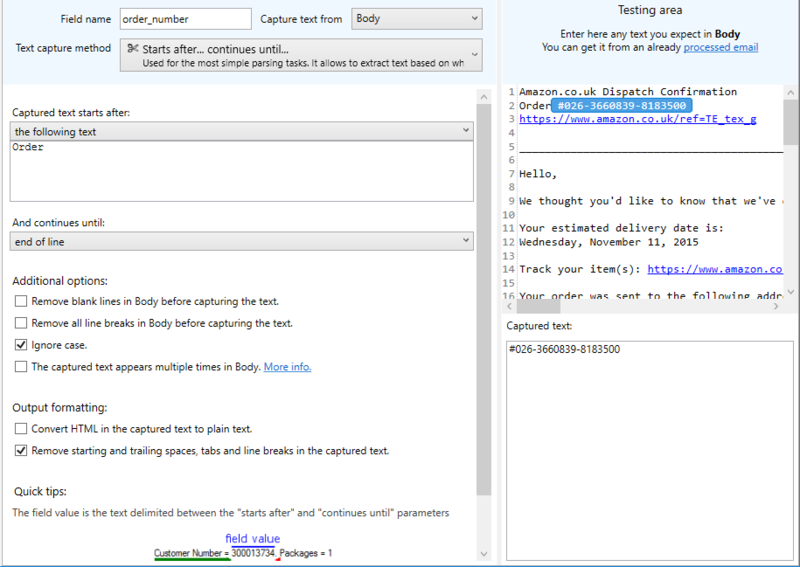 This example shows how to capture information from an Amazon email that is received when an order is dispatched. It uses two different text capturing methods: starts with… continues until… and capture HTML tag and saves the data to a Google Sheet. 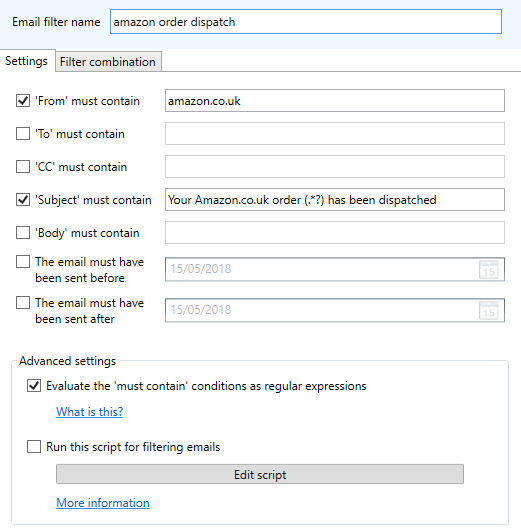 It also features the use of multi-step parsing and some fancy regular expressions for email filtering. 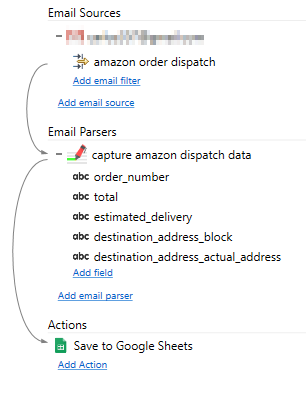 It may sound complicated as it concentrates many Email Parser techniques but, if we go further into its details, you will find it is easy to understand. The delivery address. 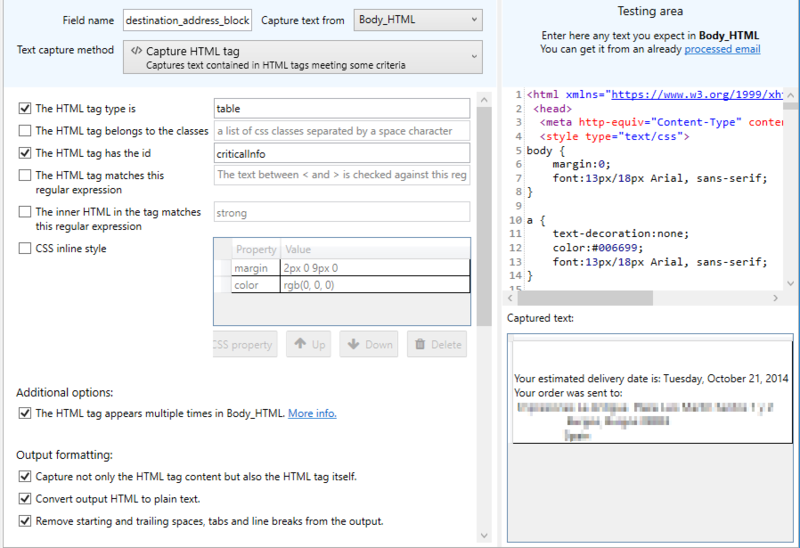 We will first capture all the block of text at the top right and call it destination_address_block using the parsing method Capture HTML tag from the HTML version of the email body. 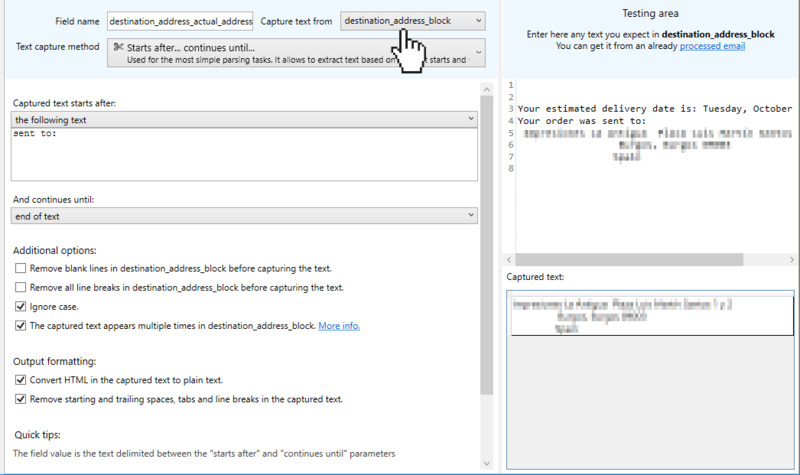 Then we will use this block as input to capture the actual address (which starts in the second line) and we will call it destination_address_actual_address. 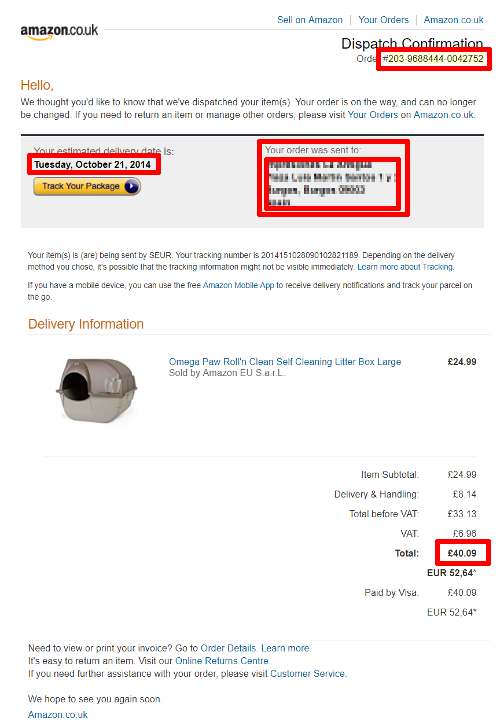 The estimated delivery date. 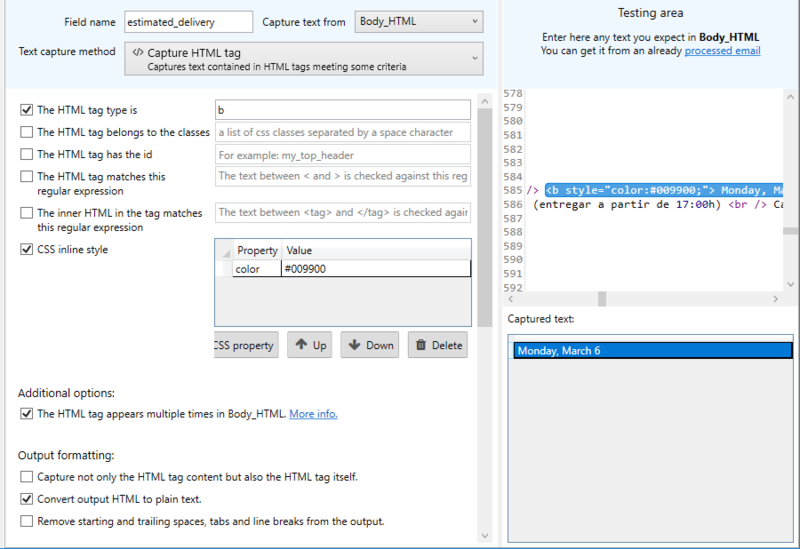 This field will be called estimated_delivery and will use the method Capture HTML tag. The total amount. This is the field called ‘total’ and is parsed using the method Starts with… continues until using the plain text version of the email as input. 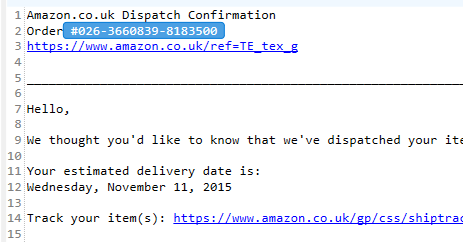 The date this email was sent by Amazon. 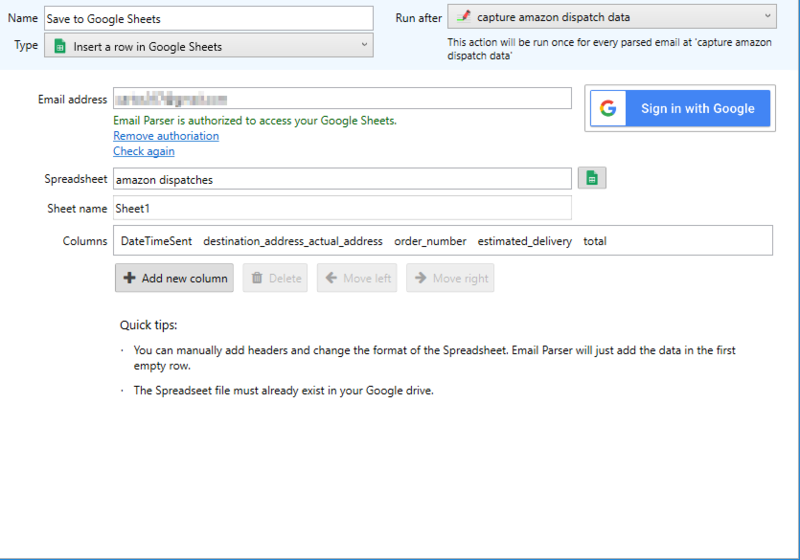 This is the default email field DateTimeSent so we use this field in the Google Sheet action. This regular expression is very simple, the element .*? 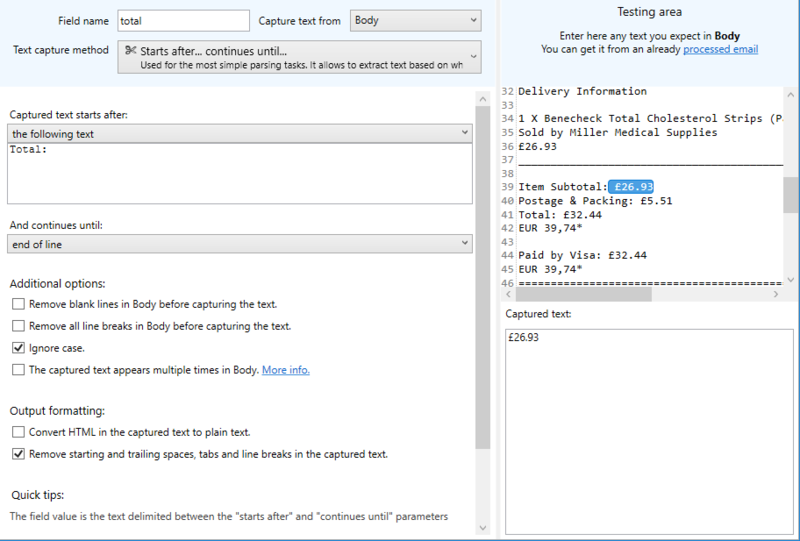 means any text, so any subject containing that format will be processed by the following items.